Bluetooth is short-range wireless technology used for interconnecting mobile phones, computers, and personal digital assistants (PDAs). It is the technology that enables earpieces to work with cell phones. SMS (Text Messaging) has no proximity boundary and can deliver customized scheduled messages to cellular devices. The combination of SMS and Bluetooth provides a full spectrum of messaging capabilities and a vast range of possibilities for marketers. The Billboards-4-Rent digital mobile billboards and access to over 200,000 digital billboards around the world adds a totally unique spin to SMS and Bluetooth promotions. Using our full range of media services increases awareness and drives response rates because we can educate and drive traffic to you in high-profile and powerful way. In an era when our eco-system is on the minds of many, companies are looking for eco-friendly ways to operate effectively without hurting the environment. If your company is one of the smart ones looking to take environmentally friendly approaches to your marketing strategy then we say “Go Green, and beam with Brands In Motion. By incorporating a Bluetooth campaign into your digital media strategy you will maximize your efforts in the viral marketing arena. 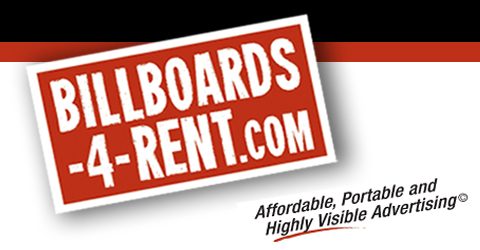 Billboards-4-Rent provides advertisers and agencies the most cost-effective, highly targeted full-service solution for reaching their target customers. Using our cutting-edge SMS and Bluetooth-based solution, you can deliver your message directly to your customers’ most personal medium – their cell phones. You can even use our interactive JUMBOLive format in conjunction with our Jumbo Screens and Digital Mobile Billboards for even greater consumer participation. JUMBOLive is a proprietary text to screen technology, will allow guests and the audience to participate in Live Chat, Trivia, Scavenger Hunts and Voting Surveys centered around customer themed promotions that are displayed on our Jumbo Screens. Our innovative text messaging promotions and Jumbo Screens enables guests to not only text message you, and vice versa, but we now can have guests send MMS pictures from their phone up to the Jumbo Video screen(s). Yes, everything is filtered and screened before it hits the screen for public display. Of course the biggest advantage of all this is the Mobile Marketing feature which lets you collect all the cell phone numbers of those participating at your venue, so you can send them promotional messages in the future. Traditional advertising channels including newspapers, magazines, television and radio are no longer effective in reaching customers who are becoming increasingly dependent on their phones for their personal and professional business. Billboards-4-Rent handles all aspects of deploying your advertising from campaign management to installation, support and reporting across the digital platform. From Mobile Phones to Digital Mobile Billboards our service is consistent and seamless. Branding – Send a logo, snapshot, or video or audio teaser to reinforce your campaign. Point-of-Purchase – Deliver a coupon, bar code, or discount offer to drive traffic into retail stores, restaurants, bars, and nightclubs. Product Samples – Deliver a coupon, bar code, or discount offer to drive traffic into retail stores, restaurants, bars, and nightclubs. Event Promotions – Issue reminders about ticket sales, book signings,or holiday events. Scavenger Hunts and Contests. Information – Target guests with information about property venues, events and activities. Market Examples – Hotel/Resort/Hospitality/Shopping Malls/Grocery Store Parking Lots/Conventions/Trade Shows/Arenas/Theaters/Beverage/Food Distributors/Commercial/Home Real Estate/Retail Storefront Businesses. Highly Targeted — It reaches more of your target customers when and where they want to buy. Cost-Effective — It is significantly cheaper than traditional advertising (e.g. print, TV, radio), more relevant, and measurable. Flexible — Because the solution is web-based and remotely programmable, campaigns can be developed and deployed quickly to take advantage of immediate opportunities. Our Expertise — Our experienced and knowledgeable team works with you to develop campaigns designed specifically for Bluetooth technology, and we provide detailed results reporting. Combined with what we refer to as “best practices” of making the user aware that something valuable is available via Bluetooth and SMS in the local area we see acceptance rates as high as 40% compared to PPC or Direct Mail campaigns. This is a better, overall, return AND substantially more cost-effective.